Silver Colors, an 11-year-old mare owned by and residing at Gainesway Farm in Lexington, Ky., will be on the roster of featured horses for the National Museum of Racing and Hall of Fame’s Foal Patrol Season 2, which will debut online in late December at www.foalpatrol.com. Bred by Gainesway Thoroughbreds, Ltd., Silver Colors was born on March 3, 2007. She is a gray/roan daughter of Mr. Greeley out of the Caro mare Winning Colors, a Hall of Fame inductee who won the became the third filly to win the Kentucky Derby in 1988. After a brief racing career in England, Silver Colors has become best known as the dam of Eskimo Kisses, winner of the Grade 1 Alabama Stakes this year. 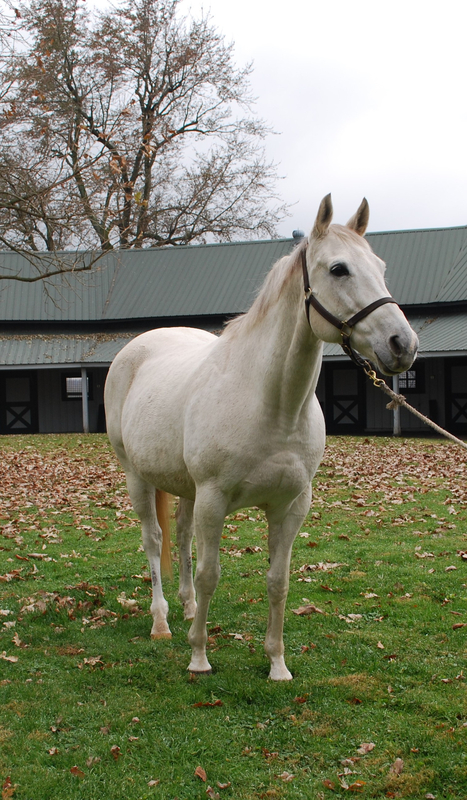 Silver Colors is in foal to three-time leading sire, Tapit with an estimated foaling date of May 17, 2019. The first season of Foal Patrol, a one-of-a-kind collection of live cameras following the daily activities of in-foal mares, had more than 1.6 million views from December 2017 through September 2018. The Museum will be making weekly announcements of the participating horses leading up to the debut of Season 2 in late December. Silver Colors joins With Honors (Claiborne Farm), Love and Pride (Three Chimneys), Comme Chez Soi (Old Tavern Farm) and Viva Sheila (Lady Sheila Stable/Edition Farm) in Season 2. More horses will be announced during December.